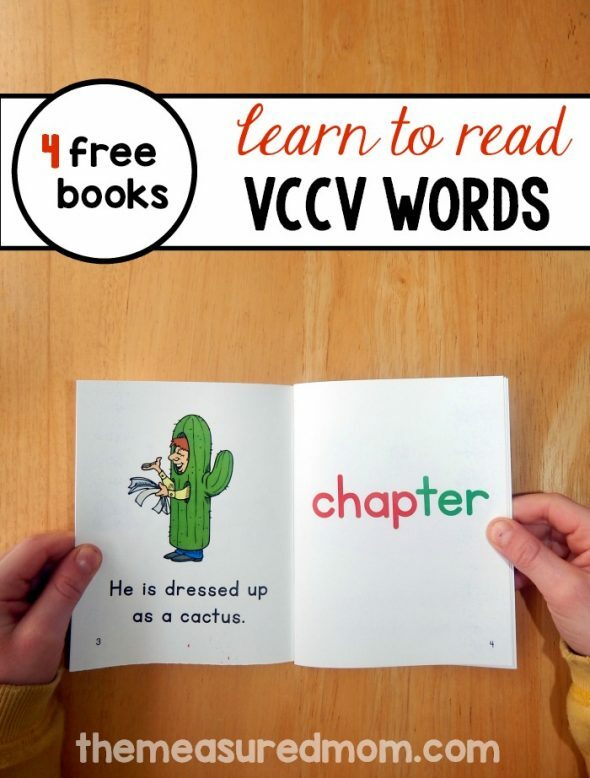 Read VCCV words with these free printable books! 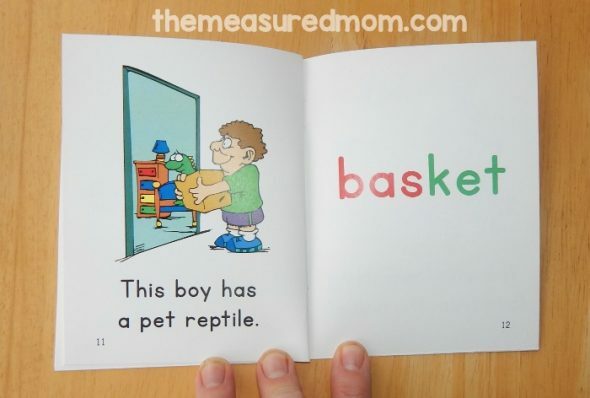 Is your child ready to read two-syllable words? 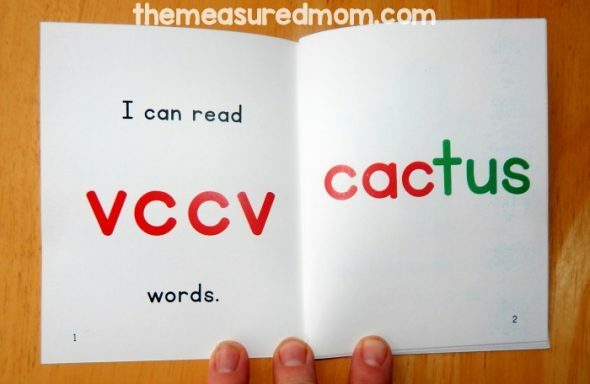 Help him learn to read VCCV words with this set of printable books. So. What are VCCV words, anyway? A VCCV word is a two-syllable words with the pattern vowel-consonant-consonant-vowel in the middle of the word. The word breaks into two syllables after the first consonant. Here are just a few of the VCCV words that you’ll find in the readers: dentist, trumpet, winter, dentist, and costume. You’ll also find VCCV words that have a double consonant: summer, tennis, better, pattern, soccer, and more. I used two colors for the VCCV words because I wanted to help children see that the words are made up of two chunks. Longer words can be intimidating to kids, who sometimes skip right over them or guess and give up. Encourage your child to read the first and then the second chunk. 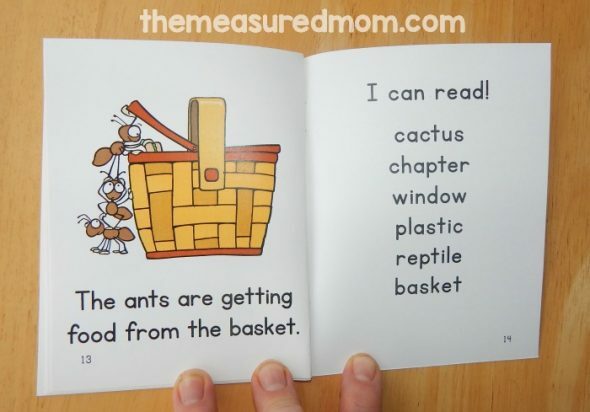 As always, your child will review sight words from our free collection of sight word readers. This page’s review words are he, is, up, and a. 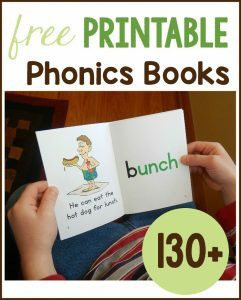 Your child will also review previously learned phonics patterns. 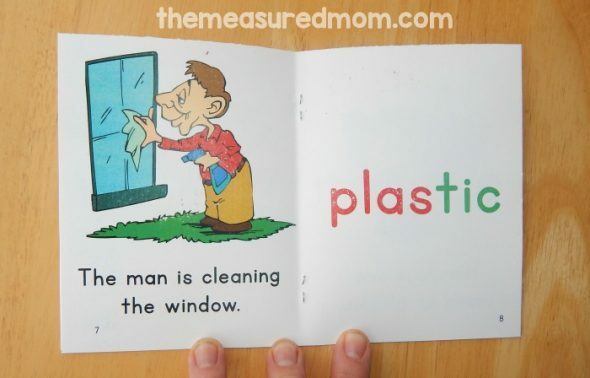 On this page your child will review ar and the ing ending in the word starting. 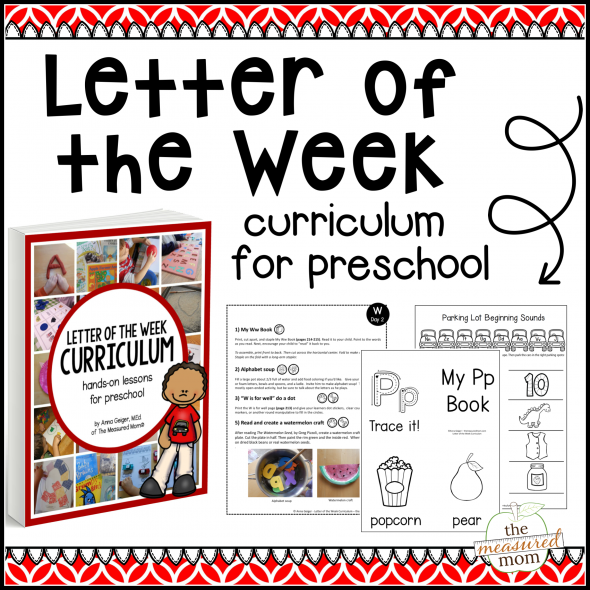 On this page your child will review the phonics patterns er (her) and silent e (made). 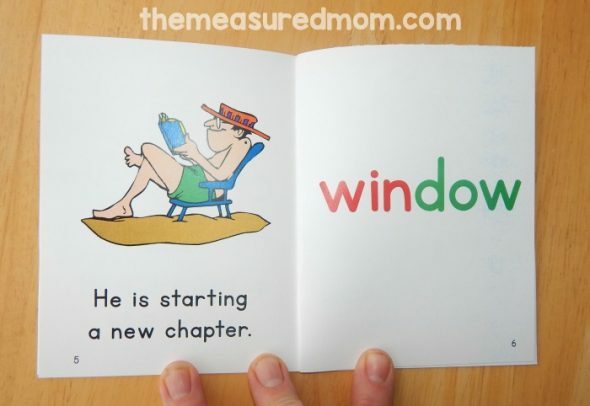 He’ll also review the sight words are and of. 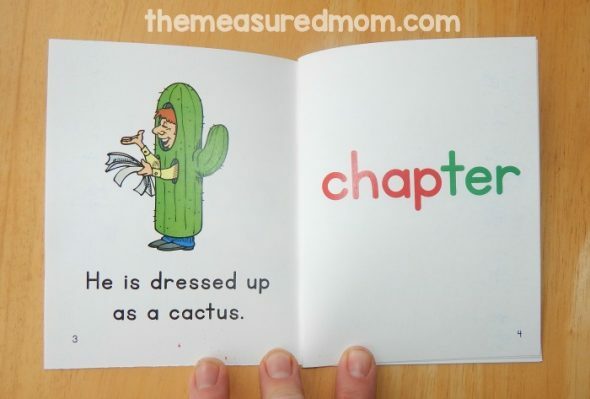 On the last page, your child can practice reading all the words from the book.